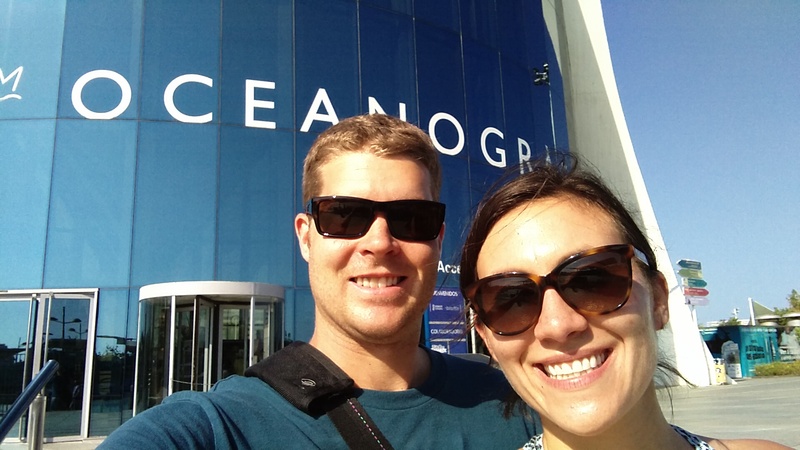 So the second half of our stay in Valencia was full with making sure we saw all of the attractions we were interested in seeing and going back to any place we really loved. 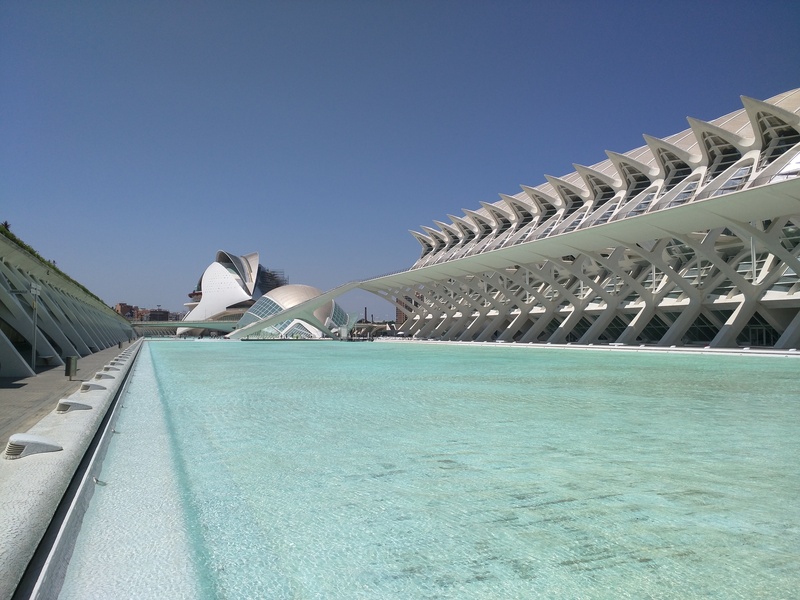 One of the main attractions in Valencia is the City of Arts and Sciences which is this crazy place where there are multiple buildings that look like spaceships or eyeballs or helmets which is super cool to look at but you can tell cost major bucks. They started building these things in 1996 and are still not finished and I don’t even want to know how much they cost but they house some pretty neat cultural activities like the largest aquarium in Europe, a 3D IMAX, and a museum that happened to have a special exhibit on 25 years of Pixar (I love me some animated movies). 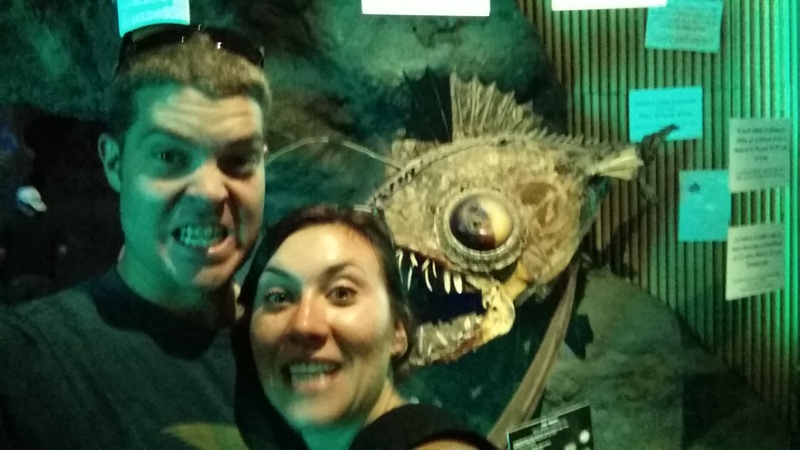 The aquarium, Oceanographic, was huge and had dedicated exhibits to multiple aquatic areas around the world and they have a dolphin show (basically a smaller SeaWorld). Some standouts were tons of sharks, beluga whales, sea horses, Japanese deep sea crabs, and shark eggs (you could see the tiny sharks moving inside!) and of course the dolphin show. The 3D IMAX, the Hemispheric, is probably my favorite building in the center you even get to hear the movies in English. We liked it so much we went back a second time and saw a movie about the Monarch Butterfly Migration. The first movie we saw was about the four sections of Jerusalem – Jewish, Catholic, Muslim, and Armenian and their religious celebrations and was really interesting. The City of Arts and Sciences is located at the end of the Jardin de Rio Turia which is a huge park that runs through the center of the city. The park actually used to be the Turia River and when it flooded 100 years ago the city decided to re-route the river and turn it into a park. There are multiple jogging and bike paths, sports centers, outdoor workout equipment, ponds, and of course cafes with patios. But before I continue, I need to make a public service announcement about Spain. They love their patios! I’m so jealous of how much patio time they get, every restaurant in Valencia had a patio and it was packed at all hours of the day. So I’m bringing back more patio time in my life when we get back to the states. Okay enough about the patios…This park is where we were able to jog, took bike rides on the ValenciBiSi (Valencia has a city bike system like the Bcycle in Denver), and just wandered. It is pretty amazing to have a public park that runs through the city and you can tell by how many people use it that the inhabitants of Valencia love it too. Trust in the paella and prove it’s worth by tipping it! 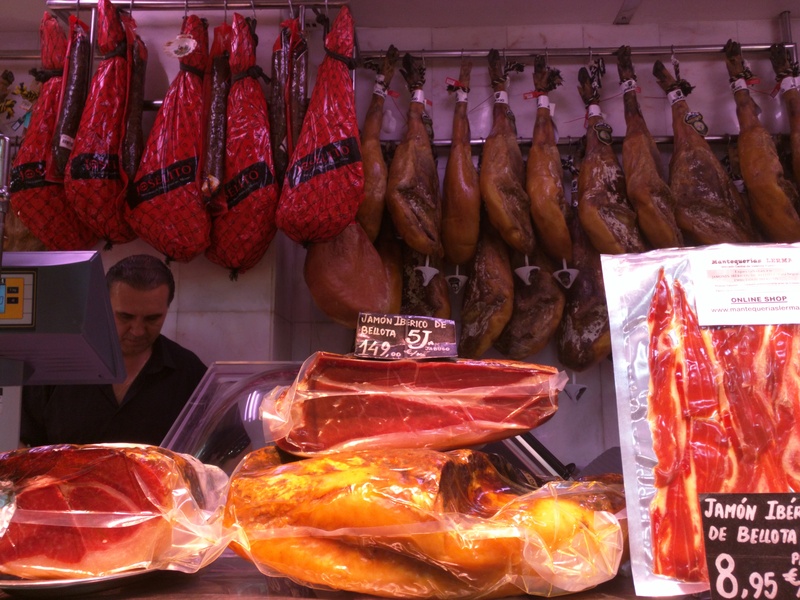 During our tour of the market we got the skinny on the Serrano and Iberico ham legs so now we are ham bosses. 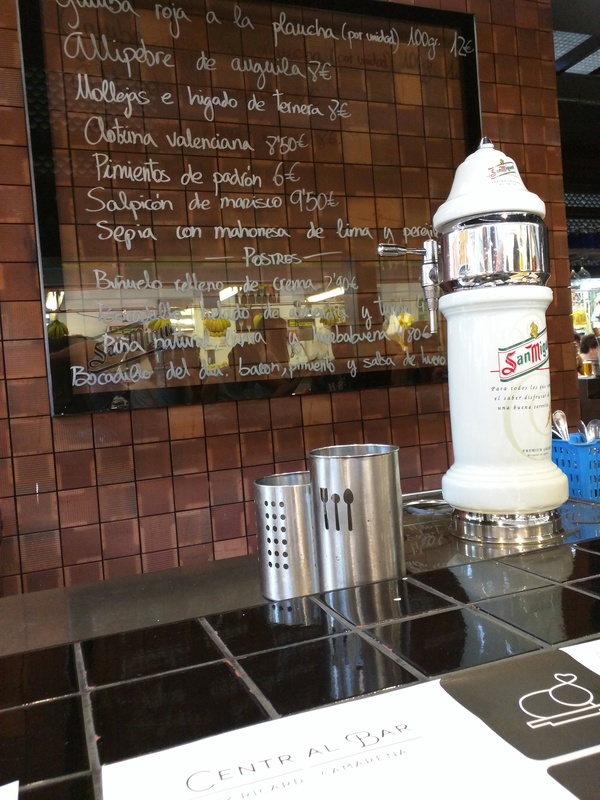 So if you ever go to Spain here is the deal. The legs with white hooves are serrano hams and the legs with the black hooves are Iberico pigs. Then there are 5 grades of Iberico ham legs and the higher the grade the more acorns (bellota) the pigs eat and the more free range the pigs have. The levels are ranked on “J’s” so the first level is 1J and the best is 5J’s or called “Cinco Jotas” and the best are 100% acorn fed and free range. Also apparently there is a guarantee if you buy a 5J leg and if it is not as good as you want it to be you can take it back and get a new one. Also during our adventures at the market (can you tell we were obsessed with this place??) 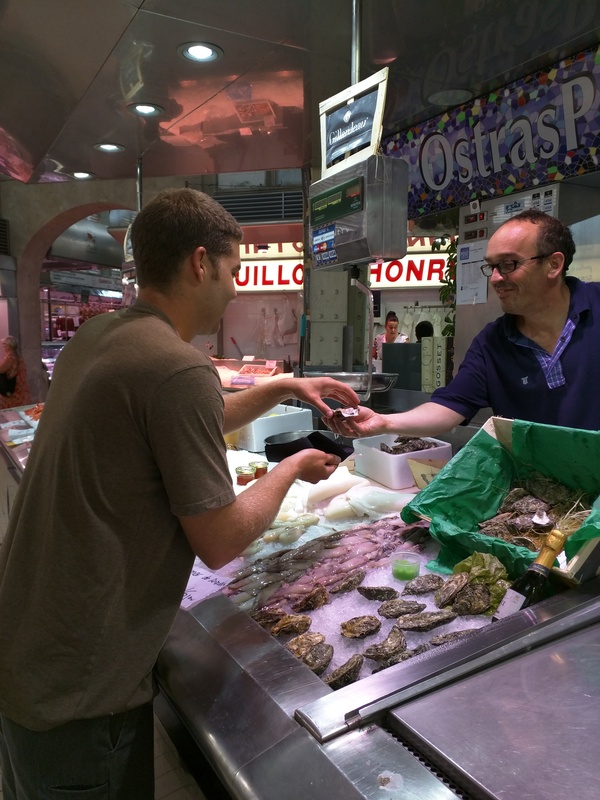 we ventured into the seafood section and Dan found a guy that was selling awesome looking oysters, shrimp, squid, and lobsters. We were able to eat oysters shucked by him while standing in the fish section of the market and they were bomb! Dan also tried raw scallop and shrimp. Which he claims is the best raw shrimp he has ever had. 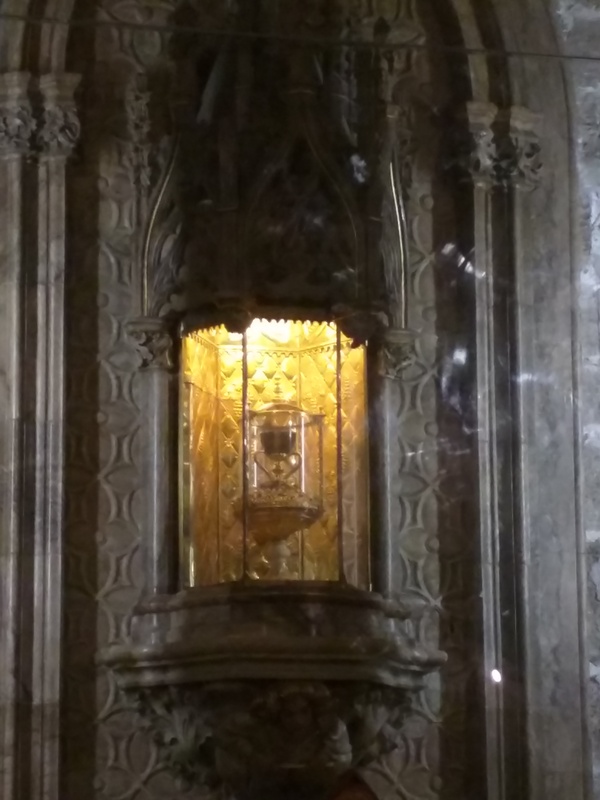 Near the central market in the city center is the Cathedral de Valencia which claims to have the holy grail. This cathedral is gorgeous and for only 5 Euros (that includes the audio tour) you can get a great tour of the cathedral and see the holy grail and two Goya paintings. The church was consecrated in 1238 and is definitely worth the visit. They also have a mummified arm of St. Vincent that you can see at the back of the church which is a little creepy but cool I guess?? 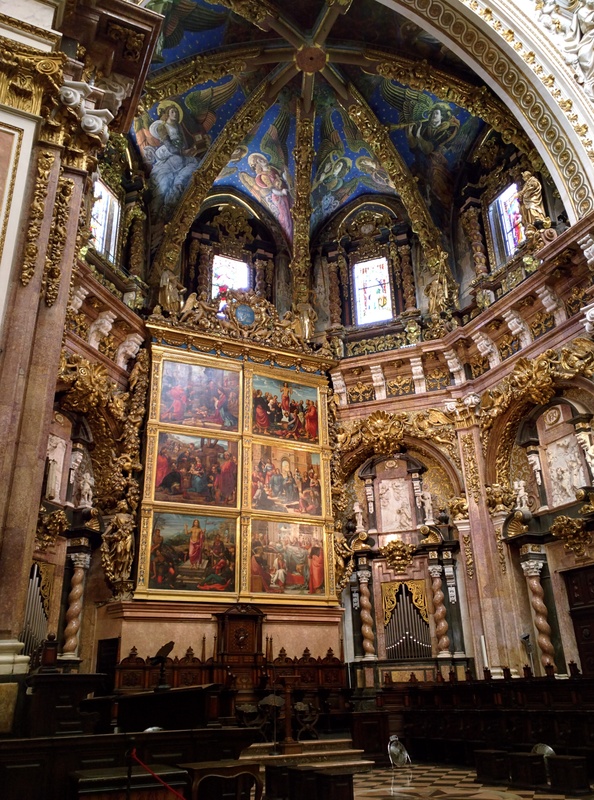 Also an interesting fact about the cathedral is it is the meeting place of the Valencia Water Tribunal which is a group that decides the water rights in Valencia and has been meeting for the past 1000 years. This group is also the only non governmental group recognized by the Spanish Constitution. We had one more day in Valencia and wanted to see what we could find in the old fisherman’s area of Valencia, El Cabanyal. We did some research and stumbled across a restaurant called Casa Montana which has been in business since 1876! 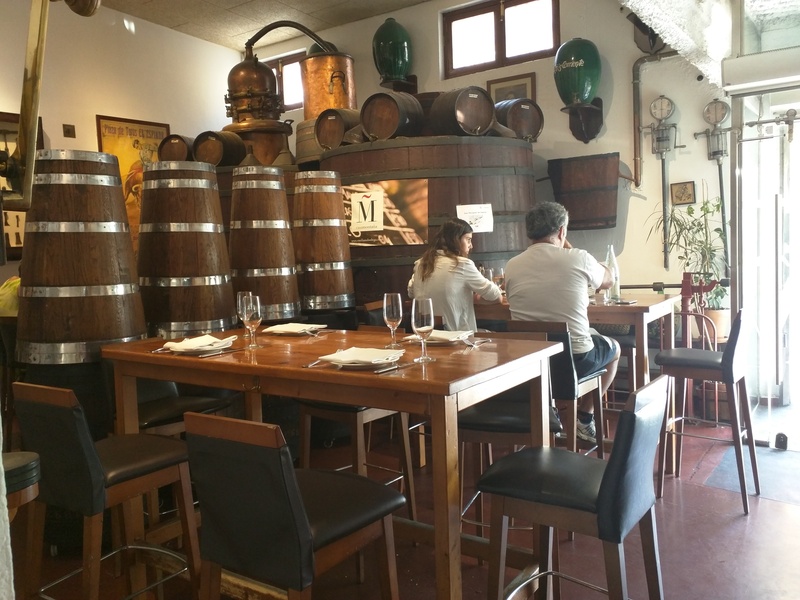 It is an adorable restaurant where you sit and eat among the wine barrels. Our waiter was really attentive, spoke great English and the food was fantastic. Our favorites were tuna poached in olive oil for 24 hours, grilled calamari, pimento pepper stuffed with tuna and braised leek with balsamic vinegar. So that was most of our meal..you can really tell we liked it! We are really sad to say goodbye to Valencia but off to the next adventure in Seville, Spain!